If your family is looking to take your Earth Day celebrations from just a once a year thing to an everyday occurrence, there is no better way than choosing to live in one of Brock Built’s GreenSmart homes for sale in Atlanta. Their GreenSmart homes are designed to not only be environmentally friendly, but also consume significantly less energy through features and standards related to HVAC systems, appliances, light fixtures, insulation, house wrap and air sealing. Already live in a GreenSmart home? You can still learn more about helping the planet at a variety of Earth Day events around Atlanta. The Atlanta Botanical Garden will be hosting a special event from 1 to 4 p.m. on Sunday, April 21. With the price of admission, visitors will be able to enjoy ladybug release, conservation programs, arts and crafts and more. Residents of their intown neighborhoods should make their way to the 16th Annual Earth Day Celebration at Georgia Tech on Friday, April 19 from 10 a.m. to 3 p.m. At this free event, you’ll enjoy exhibitors, recycling opportunities, item exchanges, eco-friendly giveaways, organic snacks and live entertainment. For residents of their homes in Marietta, the kid-friendly educational fun at the Chattahoochee Nature Center might be the perfect outing. On Saturday, April 13, kids will be able to meet Captain Planet, explore environmental themes, watch animal presentations, paddle a canoe on Beaver Pond, visit interactive exhibits and booths and much more. With great eco-friendly events and homes from Brock Built in Atlanta, this Earth Day is bound to be the best one yet! For more information on Brock Built’s GreenSmart programs and new home communities, please call 404-472-5707. 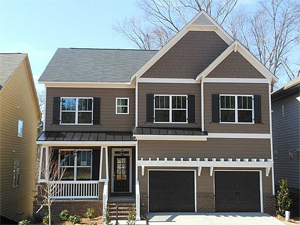 This entry was posted in Energy Efficient, Green Design Trends, Green Events and tagged Brock Built, GreenSmart program, homes for sale in Atlanta on April 11, 2013 by Carol Morgan.